John Panzica PhillyStarting this week, vXchnge will be producing a monthly podcast series highlighting Technologists and Innovators in the Philadelphia community. The Philly Tech Spotlight Podcast will dive deep into companies, market trends, and the startup community to bring a spotlight to important trends and information that Philadelphia brings to the national and global stage. Be sure to subscribe to this podcast series, hosted by John Panzica, Senior Vice President of Sales for vXchnge, to be alerted of future shows. John’s first guest will be Bob Moul, CEO of Cloudamize. The discussion will include Philly’s competitive advantages from a talent and resource perspective along with how the cloud infrastructure analytics and cost optimization company plans to invest the additional $1 million in funding it recently landed. Here at vXchnge, we have always invested in and believed that Philadelphia has been a key market in the infrastructure industry. When it had the opportunity to open its first Brownfield data center, vXchnge decided to invest in the city of Philadelphia again. vX’s investment of $30+ million has employed many local companies that, over the past 12 months, have done a spectacular job of building our data center. How do IoT and Big Data affect the Data Center? Big Data has become a popular term for the vast amounts of data that is flowing into our data centers with increasing velocity and variety. The Internet of Things (IoT) constitutes a growing part of Big Data as it arrives in terabytes or exabytes (1,000,000 TB) per data set. Since IoT and Big Data arrive at a higher velocity than traditional data, it is not only more difficult to analyze, but can also put additional stress on data centers. Where traditional data is highly structured, data from the IoT will not be nicely packaged and will likely be unstructured in nature. All of this data will need to be processed and analyzed which will increase the workload for data centers, forcing them to deal with new capacity, security, and analytics problems. The Internet of Things is going to have an impact on storage management practices in data centers across the world. These data centers will need to radically increase infrastructure resources and storage capacity to be ready to handle the Internet of Things-related data. Bandwidth will also be affected in both businesses and data centers. The Internet of Things is going to shift the trend away from old lower speed WAN links to higher-speed connections that are able to handle all of the small messages coming from the devices that comprise the IoT. Data centers must start preparing for the additional storage, processing, and bandwidth required for Big Data and the Internet of Things. Of course, in order to handle this additional load, data centers will also face challenges with increased virtualization, which requires additional power and cooling to handle the additional load. The Internet of Things (IoT): All Talk or Transforming Your Data Center? Ready for the next big tech revolution? Some experts argue for the Internet of Things (IoT) which is primed to storm the market by connecting devices of all shapes and sizes — from traditional server hardware to point-of-sale terminals and parking spaces. As noted by a Deutsche Bank study, however, hype currently outpaces revenue by a large margin; is IoT all talk, or on track to transform your data center? When it comes to IoT, “stuff” might be a better descriptor, according to Intel’s Genevieve Bell. Speaking at MIT Technology Review’s Digital Summit, Bell argued that “things” implies connections of the same item over and over again, while an “Internet of Stuff” is more accurate: A collection of varied devices, from lawn mowers to lightswitches. In her view, reasons for using IoT vary significantly across corporations or municipalities, meaning there’s no “right” way to implement this technology, and no set rules about what gets connected. Want a more practical example? Deutsche Bank details an IoT use case focusing on “smart retail.” It starts with IoT sensors at the physical store level, which monitor time-sensitive, transactional data such as inventory levels, product sales metrics, and customer volumes. And it goes beyond point-of-sale and stock room controls to include wireless parking sensors, motion detectors, and even environmental metrics. The goal is to provide a holistic revenue image; one that accounts for changes in weather, traffic patterns or varying product stock levels in real-time. The study sees wireline and mobile IoT end-points sending data through an edge cloud, into the data center, then distributed among data analytics, ERP, and IoT control apps. Right now, big data focuses on information generated from standard collection systems, but imagine the flow-rate change if every business unit had access to cost-effective wireless, mobile sensors. “Big data” doesn’t do it justice; research firm Gartner predicts that by 2020, the IoT will connect 26 billion devices, all transmitting a continuous stream of information. The result? 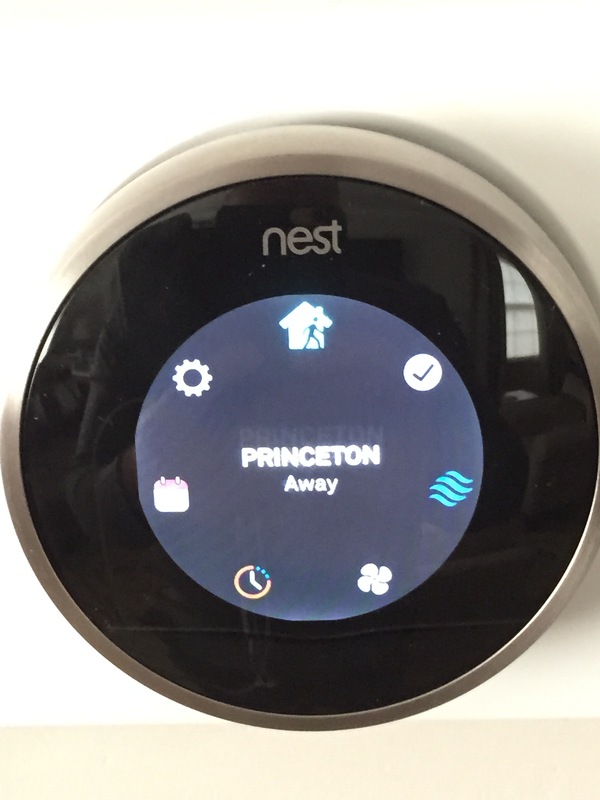 Transformation is coming as IoT-enabled devices begin penetrating the market. 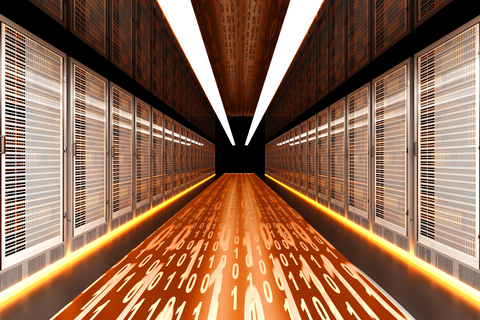 Companies looking to future-proof their data centers have two options: Managed hosting or colocation. Managed hosting shifts data center responsibility to a provider and utilizes that provider’s hardware to store, analyze and manipulate data. Colocation, meanwhile, keeps hardware ownership with your company but contracts out physical cabinet storage, power, cooling, and support. With IoT technologies set to create diffuse networks of heterogeneous devices, increased cabinet density through intelligent power management can help maximize server efficacy. IoT won’t transform your data center tomorrow, but in five years companies that haven’t future-proofed their cabinets will find it difficult to generate ROI from this nebulous network of devices. Now is the time to consider server best practices and potential — when value catches up with vision, you’ll be ready. When it comes to IoT, “stuff” might be a better descriptor, according to Intel’s Genevieve Bell. Speaking at MIT Technology Review’s Digital Summit, Bell argued that “things” implies connections of the same item over and over again, while an “Internet of Stuff” is more accurate: A collection of varied devices, from lawn mowers to light switches. In her view, reasons for using IoT vary significantly across corporations or municipalities, meaning there’s no “right” way to implement this technology, and no set rules about what gets connected. Right now, big data focuses on information generated from standard collection systems, but imagine the flow-rate change if every business unit had access to cost-effective wireless, mobile sensors. “Big data” doesn’t do it justice; research firm Gartner predicts that by 2020, the IoT will connect 26 billion devices, all transmitting a continuous stream of information . Are you considering SAP HANA, but you’re not sure where to start? SAP HANA is a relational database that runs in-memory for fast access, allowing business analysts to query large quantities of data without having to wait for the database to read and write data. This speed allows users to explore and analyze both analytical and transactional data from almost any data source. One common complaint with SAP HANA is that slow implementations can be costly. Rapid deployments can increase ROI. Most organizations can expect a cloud-based SAP HANA implementation in less than 30 days. Using SAP HANA in the cloud allows businesses to shift from a large upfront capital expense to a more manageable monthly operational expense. This reduces the infrastructure total cost of ownership an average of 28% or more within a three-year period. There are speed benefits to being closer to the HANA production lines. Close geographic proximity puts your data nanoseconds away from the SAP HANA cloud engine. This is what happens when your application exists in the same data center as the HANA cloud. This type of speed is possible when you have a physical data center infrastructure that allows you to incubate, test, and grow IT environments that have a nanosecond access to HANA cloud. Faster access improves flexibility because it allows you to grow an SAP HANA database, add new apps, and expand your geographic footprint giving you the lowest cost, greater speed, and least disruption. Having HANA in the cloud allows the service provider to focus on delivering an SAP HANA solution so that your IT department doesn’t have to accommodate a new platform and manage yet another system. While many data centers offer five levels of security, there are advantages to being in the same data center as the SAP HANA cloud. One of them is that you have the benefit of not touching any public IP addresses, and another is that you have a point-to-point cross connect directly to the HANA cloud. This eliminates information exchange over public networks and allows a more secure point-to-point connection. It’s unfortunate that SAP HANA has a reputation of being very complex and hard to deploy, especially with an on premise solution. By moving an on premise solution to the cloud, it allows your service provider to take care of complex configurations for you. While some businesses may be hampered by a complex on premise solution, having the right provider will make it easy to get customizations up and running quickly and easily. This allows the service provider to manage and optimize your SAP HANA implementation, so that your IT department doesn’t have to. Optimization is critical for any system. Businesses have learned that optimization is not a once and done process. It is an ongoing process that requires a business to revisit and optimize on an ongoing basis. By having a strategic partner that manages your SAP HANA service, they can continue to help you optimize as they have learned some of the latest and greatest best practices from the industry. What if your company doesn’t have an analytics tool; can you still get the benefits from all of those legacy systems that have disparate data that need to be combined into one dataset? Using SAP HANA, you can handle these large loads of data from legacy systems and tie them all together. This is one of the true business benefits of analytics. SAP HANA doesn’t have to be hard. To be successful, you need a data center with flexible, scalable deployment that is close to the SAP HANA cloud. They will also need the available space and power to handle high-density equipment and still have interconnects to SAP HANA and other carriers. Combining the right data center with an SAP HANA partner can give you access to the industry experts, speed, and security that your company needs to succeed. Cyber Security Breaches A Daily Occurrence—Two Companies That Can Help Protect Your Data! Cyber-attacks seem to be picking up in frequency. In the mainstream news, attacks are reported on what seems to be a weekly basis. This subject is not something anyone gives too much thought to, until you start seeing big brand names getting hacked. Then the collateral damage becomes obvious; individual stories of ordinary people hit hard, having their credit card information used by fraudulent parties. A few weeks ago, there was an interesting interview on 60 Minutes featuring the head of the FBI, James Coomey, who has been tenured at the Federal Bureau of Investigations for a year. His thoughts on cyber security and the threats faced by individuals and U.S. companies were eye-opening; he stated that too many attacks to count occur every day. He described the Internet as the connection to an individual’s life; between pictures of family, financial information, friendships and hobbies, once a hacker is able to crack the front door of a computer they have access to an individual’s life, in its entirety. He equated this to a dangerous parking lot where nation states, organized hackers, terrorists and criminals prey on the public. Before the advent of the Internet, an individual’s most personal information was never so easily accessible in a single place, nor so vulnerable to threats originating on the other side of the world. With the subject so prominent, and, in some cases, fear spreading through individuals, companies and communities, a bit of research was needed in order to focus on this growing trend, and which companies could possibly help protect personal or corporate data. In an independent study conducted by the Ponemon Institute (an independent research facility specializing in information security policy, privacy and data protection) in June 2014, detailing the number of companies who have become prey to cyber security breaches and that 62% of the respondents did not trust the security of their cloud infrastructure. Their data indicates that number is expected to keep climbing every year. Indeed, the figure the Ponemon Institute published represents a rise of 10% from the previous year. JPMorgan – The attack perpetrated against JPMorgan Chase & Co. was first made public in July. This attack compromised small business and regular household information; roughly 76 million small businesses were affected, while more than ten times that number of regular households had their information compromised. While no money was apparently stolen, internal information and personal information (not including social security or account numbers, birth dates or passwords) held by JPMorgan on its customers was exposed. There is speculation that this attack was a precursor to a larger future action. Home Depot – A breach of information was verified by Home Depot on September 8. It caused 56 million cardholder accounts to be put at risk and affected anyone who may have made a payment at any Home Depot from April through September. In response, Home Depot implemented a very large payment security project to offer their customers better security through more advanced data encryption. Target – The security breach suffered by Target during the 2013 holiday season was revealed by Target in January but had already been reported in mid-December by an independent cyber-security expert. Information for 70 million customers was breached, including name, address, email and phone numbers. Another 40 million suffered loss of data for debit and credit cards used at the retailer before and during the 2013 holiday season. Predictably, sales have fallen following revelations of security breaches. Stock prices can also be tipped into responding unfavorably, leading to huge losses and other detrimental impacts felt for several quarters following the breach. Target’s sales have only recently begun to recover; after the breach was revealed, sales for the chain slid 2%-6% from the prior year. Breaches are increasing in both scale and frequency. Cyber-attacks are now capable of affecting anyone who uses debit or credit cards, or holds an account with any business that requires name, address, phone, email or other identifying information. They’re not confined to the US, either. During the early part of 2014, a data breach occurred, which affected over 70% of South Koreans between the ages of 15 and 65. Their personal data and credit card information was compromised and stolen in a breach which affected more than 25 million South Koreans. The Korea Credit Bureau worked with Korean credit card companies to provide them with credit scores for Korean consumers; a worker there caused the breach. While the numbers have improved, more than a quarter of companies still don’t have a team in place for responding to data breaches, nor do they have a plan for such a situation. Last year, nearly four in ten companies were lacking such precautions. Even when prepared for attacks, only 30% believed their company was adequately prepared or well-equipped to handle a cyber-attack. Many companies with plans in place have not reviewed them on a quarterly basis, and most have not been updated or reviewed since they were implemented. Don’t open attachments from people you know, but from whom you are not expecting to receive a particular type of file. Don’t follow website links from unknown email senders. Check the naming convention of website links to ensure that you’re being directed to a legitimate site. At this stage, nearly everyone knows to conform to these basic rules. However, hackers and cyber threats always seem to get more elaborate, as with the NBC attack last winter. In that case, hackers hijacked NBC.com to be the delivery method of a malware virus; a cyber-criminal imbedded invisible malicious elements across some of the NBC websites, rotating the files periodically to avoid detection. What happens when malware finds its way onto your computer? Depending on which “exploit kit” is used, various outdated software and plugins are found and targeted. When users have not installed all relevant updates, the exploit kit is able to reside in the system until it finds personal financial data, which is then sold on the black market. To limit the risk of your company’s websites being attacked by drive-by malware, it is important to monitor payloads. Monitoring payloads makes it possible to detect indicators of an ongoing attack at an earlier point during the attack. It is one of many continuous diagnostic programs an organization should perform in order create a more appropriate layer of security. Many companies are now hiring cyber threat teams, which are comprised of some of the world’s best former military and government high-profile individuals. These teams help the company build a more secure infrastructure. For companies, though, it is equally important to have correct methods and procedures in place to continually monitor against cyber threats and enforce compliance. If you do not have the expertise or money to hire full-time individuals to perform this function, there are companies out there that can help you. Below are some that have high marks and are performing well in the security marketplace. Security management, engineering, testing and assessment, as well as assessments of compliance with security protocols. Automation and process enforcement for the management of security risks and compliance. Continuous monitoring and management of security risks with necessary corrective action. Mapping and streamlining assets, along with mapping of vulnerabilities and controls in order to enable security protocol compliance which is continuous in nature. The information assurance services of Telos are intended to give clients the most reliable and robust security protocols and protections available today. Their services are employed by a wide range of both civilian and governmental agencies, as well as financial sector agencies. Telos is also accredited by US government agencies working in the cybersecurity industry. For companies that are looking for secure cloud hosting, FireHost is one of the best available companies. FireHost has taken the same approach by hiring some of the best military and government cyber experts and bringing them to the private sector. It has developed a proprietary cyber-threat perimeter which surrounds their cloud infrastructure. It contains an artificial intelligence module that pro-actively looks for, and updates in real-time, the latest cyber-threat tactics. By deploying a perimeter system and updating it in real time, FireHost is protecting its clients and their infrastructure better than most companies can do on their own. FireHost is the leading secure cloud provider, emphasizing security and compliance in order to reduce risk and protect information. Their services are widely used for healthcare and HIPAA compliance, as well as payments and PCI. FireHost’s unique Payment Island also gives companies a secure and compliant way to handle credit card data and payments, allowing them to separate themselves from the risk of security breaches. While cybersecurity has become a major concern for any company using cloud computing or storage, there are many ways companies and individuals can protect themselves from malicious attacks. Keeping information safe has become the new holy grail of businesses operating online or using any type of payment service or information service where customer information needs to be secure. Without taking the correct steps to ensure their information is safe, companies and individuals alike face the daunting prospect of being hacked and losing valuable information. Ensuring that any cloud or other kind of information storage is safe and secure should be the top priority of every business and individual who does any business, online or off. There was a time almost 100 years ago that people would gather around a radio at night to get the latest news and then get entertained by a show; there are not a lot of people left alive who even remember this. The invention of the TV in 1926 essentially was the radios death sentence and changed things forever; it is a history of introduction of new media technologies that repeats itself over and over again, something new is invented and the older media’s worth gets severely diminished or even abandoned forever. With a major push for business by streaming video services such as YouTube, Vimeo, and Netflix; there is now a clear shift toward gearing content for smart technology devices in the current marketplace. According to an article in Fast Company Online Magazine last month, it points out the fact that times are rapidly changing. ten to fifteen years ago when kids went off to college they packed their TV among the things they were taking to school; nowadays, the TV stays home and collects dust and the new generation of students simply pack their laptop and tablet into their backpack and take it with them everywhere they go. It is changes like this that have smart devices poised to take over a huge share of the streaming media market. People have gone from just being happy that streaming technology had become available to demanding more and more from streaming technology providers. Users want to watch what they want when they want and to watch it wherever they are. Just as the popularity of the internet shifted focus from TV’s to computers; so is the development of mobile internet switching popularity from computers to smart devices. It is a new age of carrying your life in your pocket or your backpack; devices like smart phones and tablets store your favorite movies, your favorite photos, your favorite songs, and even have apps that let you keep in touch with your family and friends by webcam or voice at the click of a button. Years ago it would have taken a phone, a camera, a desktop PC, and a portable music device to do everything that a lightweight and highly mobile smart phone or tablet can do now. Who would have thought ten years ago that articles such as the one written in Brain Solis, that detail how Video Sharing companies are challenging Hollywood for viewers, would even be relevant in 2014? People don’t want to wait around at home anymore for their favorite TV shows to come on when they have a smart device that can stream it live or download it to be watched anytime they choose. There is no longer a need to leave the office to catch your favorite sports team’s game; with these new smart devices you can stay late and get your work done and still not miss a minute of the game. This is what the market now demands and companies that produce content for computers and TV really have to take notice of this and plan accordingly. If these statistics can change that much in one year, just imagine where this technology will be in three to four years from now. Are the big companies with interests in these areas taking notice?Absolutely, both media companies and technology companies are all competing for a bigger slice of the pie. It is evidenced by such large mobile internet providers as Verizon and AT&T and their rush to increase download speeds to capture customers by satisfying their demands to access streaming technology faster; 4Gspeeds have become readily available globally over the past 5 years and 5G speeds are expected to arrive in the next 5 years to keep up with this demand. Media companies are also looking for ways to cash in on the new smart device demand for streaming media. Look no further than Disney’s takeover of Maker studios as evidence of this. Makers Studio is a company that manages over 55,000 You Tube Channels. Disney’s willingness to invest a half billion dollars in this transaction is proof that the big media companies only see the trend towards using streaming technology on smart devices as something that will continue to grow dramatically in the near future. Yahoo got in on the act also as they acquired the high quality streaming company RAYV from Israel. Even giant cable companies such as Comcast, who long enjoyed monopolies and high profits in the areas they served, needed to do something to keep up with this trend so they released their own brand of streaming video technology called XfinityStreampix. YouTube itself has transformed from a fun afterthought to a big business. With a whopping one billion users per month and over six billion hours of video watched, it is hardly something that businesses can just ignore. Alloy Digital Media just acquired the rights to YouTube’s #2 subscription show, Smosh. Even such popular TV channels as Nickelodeon and Cartoon Network are getting in on the act by increasing air time for YouTube based programs; an example of this is the Annoying Orange web series that is now a show with a regular time slot on The Cartoon Network. This is a trend that is just beginning to entrench itself as a permanent part of people’s lives and the demand for streaming media on mobile devices looks to continue to be strong well into the future. You might even want to take a photo of your TV, using the camera on your smart phone of course, so that twenty years from now when they don’t exist you will be able to look at the photo and remember what one looked like. Welcome to my blog! Those of you who know me probably also know that I am passionate about the things I do in my life. In fact, my typical mantra is, “I am either all in or all out.” As a result, I am also known to have an opinion or two about the things I am professionally involved in such as financial markets technology and business leadership, as well as my personal endeavors of endurance training, competitive cycling and racing. For those of you who do not yet know me, please visit the “About Me” section of this blog or check out the various other professional and personal portals that Google makes so accessible to us. On a professional level, I am a 25-year executive in the telecommunications and data center space. I enjoy writing, speaking, and analyzing the how’s and why’s of many subjects because I firmly believe that if I am going to devote my time to something — personally or professionally –I want to gain command of the subject to the extent that my efforts and opinions make a difference in some way. Whether I achieve the end result of making a difference is subjective, but the efforts and passion will certainly be notable and, most likely, public. What can you expect from this blog and from me? I plan to write one or two articles per month on relevant trends in the technology Industry. I have a unique position as a sales leader in the telecommunications data center industry, as I have become intimately involved in everyday technology such as smartphones, on-line gaming platforms and video-streaming services and am fascinated with their various affects on global technology and infrastructure. As technology changes our lives and the way we do business, many companies continue to make smart — and sometimes not-so-smart — investments and bets on how, when and where businesses and consumers will procure products. At an individual level, I am an entrepreneur at the core. I will be sure to provide a strong opinion on various companies’ sales and marketing tactics and strategies. In other words, why such companies are sure to be successful or why they may be wasting their money. Last, you may also see some articles on motivation and competitive sports, as I have been an athlete for most of my life. For the past ten years, I have spent the majority of my time infatuated with cycling, charity riding, and competitive racing. I know so much about bicycles, their technology, and accessories, that I have a career waiting for me in retirement. I have many thoughts, stories, and motivational moments that I believe are reasons why competitive sports have made me successful in business. I look forward to an on-going dialog with you on this blog and welcome your comments and suggestions. Please feel free to contact me directly at any time at jppanzica@gmail.com or on Twitter at @jppanzica. Thank you for the time you have invested in me.